I qualified as a BSL Interpreter in 1999 and work as a freelance interpreter based in Manchester. I have experience of working in a variety of domains, although I primarily work in the community and in forensic mental health settings. I am committed to the development of supervision within the sign language interpreting profession and qualified as a supervisor 2009. Following this I published papers based on my MA research into work related stress within the interpreting profession and the benefits of supervision to support the work of interpreters. 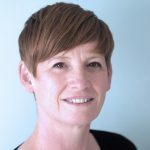 I cofounded 360supervison with Cathy Davey in 2014 to redress the lack of Professional Supervisors within the interpreting profession and we developed a bespoke Diploma in Supervision specifically tailored to the needs, experience, and environments within which sign language interpreters work. I offer supervision to Signed and Spoken Language Interpreters and allied professionals such as lip speakers, teaching assistants, Support Workers and CSWs. Supervision is an opportunity for you to take a step back and consider not only practice issues, but also your own responses to the work you do. We are all different and work can affect us in different ways. Talking though your work and any feelings that arise can help you gain a deeper understanding of why you may respond to colleagues, clients or situations in the way you do and help you make the changes you want in order to become more resilient and provide the best service you can. I offer a safe, non-judgemental and confidential space for supervisees to reflect on their practice. My aim is for practitioners to feel valued and supported to explore work related issues, dilemmas and decisions made in the course of their working day. I provide individual and group supervision in the North West and I can also offer individual supervision via Skype/FaceTime. The first session is free of charge and will to give supervisees an opportunity to find out more about supervision, how we will work together and ask any questions.